False. Top producing agents, those who enjoy a solid reputation in the community and practice real estate honestly and truthfully, are very careful to uphold a client's trust. Making misrepresentations or a false statement is against the law. Agents who break fiduciary relationships or fail to disclose material facts are subject to prosecution and a loss of their license to sell real estate. False. Since 1974, agents have been prevented from receiving any kind of kickback or favor from real estate vendors. It's against the law. 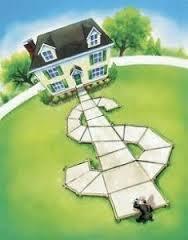 It's against RESPA: the Real Estate Settlement Procedures Act. Some agents are slower than others to realize how the law affects them, but most have heard of RESPA and would not jeopardize their license, regardless of the temptation. False. There is no excuse for habitual tardiness among professionals. Every person deserves respect, and respect is earned by providing what is promised and being on time. 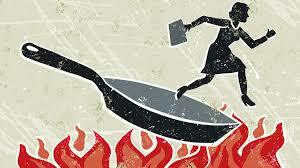 If your agent has a god-like, self-deluded impression of her or his own importance, find another. Clients who listen to agents' excuses allow tardiness to happen. Don't let a few bad apples give the entire industry a perception it doesn't deserve. False. Ever hear a friend say this: "Every dime more you pay for that house makes the agent more money, so don't trust that agent." That's a misunderstanding. The difference between $300,000 and $310,000 is about $150 to an agent. Do you really think the agent pays any attention to the commission difference of a $10,000 spread? False. Unless you have a signed representation contract with an agent or that agent represents the seller, that agent you call doesn't have to show you anything. You can't call a local real estate office and demand service or demand to be shown homes, because agents don't work for free. If you aren't planning on writing an offer with the agent you call, be upfront or don't waste that agent's time. But don't expect that agent -- who is likely to earn nothing -- to be too excited about jumping in the car with you. That agent is not obligated to show you anything. Nor is the listing agent obligated to show you a listing if you are represented by another Realtor. False. An agent's average annual salary is less than $36,000 a year. You will find that about half the agents in any large brokerage close less than four deals a year. That is very tough to live on, especially once office fees are paid, MLS fees and lockbox fees are deducted, overhead and expenses for the agent are deducted, errors & omissions insurance and office supplies are paid. Any agent worth her salt wants disclosure. Why? Because she wants what is best for her client but also, and this is not to be taken lightly, because she does not want to be sued. Agents must disclose material facts. A buyer is always, without fail, better off knowing the truth about a house. Good agents care that a buyer receives full disclosure and are willing to fight for repairs on the buyer's behalf or help the buyer cancel the transaction. False. Discount brokers like to propel this myth. They claim to save sellers money by charging less. 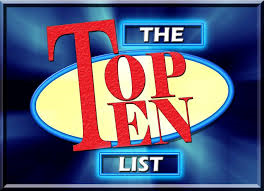 The truth is agents who are top producers and excel in this business do not discount services. Why? Because they don't have to. Less-than-full-service agents can't afford all the bells & whistles paid for by full-service agents, who tend to draw higher offers. It boils down to you get what you pay for. A 2% commission reduction doesn't amount to much when your price is discounted 10% or more because your agent couldn't afford full market exposure. False. Busy agents and top producers don't have the luxury of time to waste when selling their own home. They also understand the market better than your average home seller, which means if a home isn't selling within a reasonable period of time, it means it is priced too high. If the agent needs to sell, they might even cut the buyer a better deal than the buyer can get on the open market. After all, the person most likely to be persuaded by a sales pitch is a person who sells for a living. False. Federal Fair Housing laws prevent a real estate agent from discriminating against a number of protected classes, which automatically prohibits an agent from disclosing anything remotely relating to the protected classes. Therefore, it may come as a shock to many people that agents cannot disclose crime rates, school stats or ethnic mixes of neighborhoods. If that kind of information is important to you, an agent can tell you where to find it but cannot provide it. Those who tell you otherwise are misinformed. If you are looking for a professional REALTOR, call me today! Besides an upscale kitchen and plenty of space, what are new-home buyersâ€™ looking for these days when house hunting? Here are just a few of the latest in-demand amenities. 1. 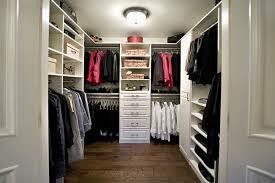 Walk-in closets: Large closets, particularly in the master bedroom, is among one of home shoppersâ€™ top priorities. Many home owners have said theyâ€™d sacrifice another household feature in order to have his-and-hers closets in the master bedroom. 2. 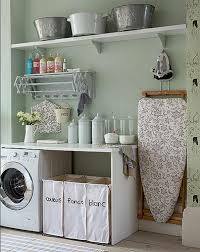 Luxurious laundry rooms: Buyers are looking for more than just a place to stick their washer and dryer. They want upgraded laundry rooms â€“ complete with skylights, built-in ironing boards, space for folding clothes, extra storage, and upgraded appliances. 3. Energy efficiency: Home buyers are looking to cut utility costs, and energy efficiency appliances and products can be one way to do that. 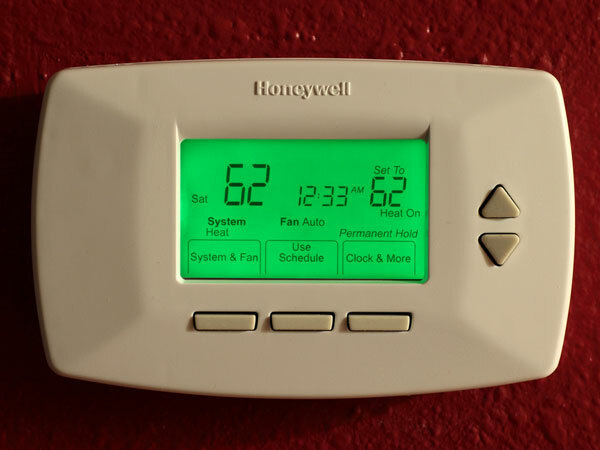 Low e-windows, Energy Star appliances, and programmable thermostats are more in demand than ever. 4. Great rooms: These large open spaces that often merge dining rooms, living rooms, and kitchens continue to be in high-demand among home shoppers. â€œGreat rooms are wonderful places where everyone in the family can sit around, or where the kids can do their homework while you get dinner ready. 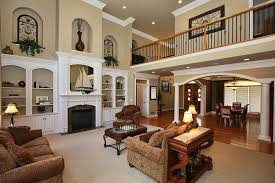 Todayâ€™s great rooms are large, bright and just make you feel good being there. 5. Taller first-floor ceilings: Morse home buyers want the first floor to stretch beyond the typical eight-foot ceiling. Theyâ€™re asking builders for 9ft ceiling heights. 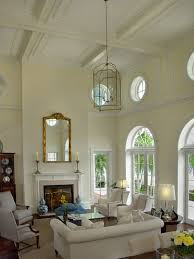 The taller ceilings can open up living rooms, dining rooms, and other spaces on the first floor. But home shoppers say they can do without the cathedral ceiling in the family room, which can be too costly to heat and cool. Also, they arenâ€™t preferring the higher ceilings on the second floor, which many home buyers say they want to feel more cozy. Call me today and let's chat about what you might be looking for in your new home! 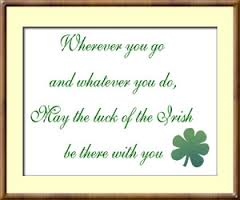 It's All About The Journey... May the Luck of the Irish Be with You! Have you ever wondered who Saint Patrick was? He lived during the fifth century, and is the patron saint and national apostle of Ireland. He had quite the journey! He was born in Roman Britain and was kidnapped and brought to Ireland as a slave at the age of 16. He escaped, but returned to Ireland and was credited with bringing Christianity to its people. In the centuries following Patrickâ€™s death (believed to have been on March 17, 461), the mythology surrounding his life became ever more ingrained in the Irish culture: Perhaps the most well known legend is that he explained the Holy Trinity (Father, Son and Holy Spirit) using the three leaves of a native Irish clover, the shamrock. 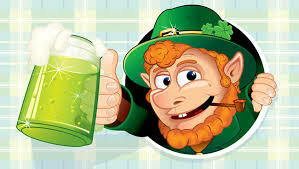 Even though the people in Ireland have been observing the Roman Catholic feast day of St. Patrick on March 17 since the 9th or 10th century, I'm sure you won't be surprised to learn that the first parade held to honor St. Patrickâ€™s Day took place not in Ireland but in the United States. 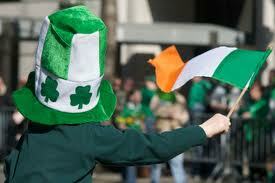 On March 17, 1762, Irish soldiers serving in the English military marched through New York City. Along with their music, the parade helped the soldiers reconnect with their Irish roots, as well as with fellow Irishmen serving in the English army. Over the next 35 years, Irish patriotism among American immigrants flourished, prompting the rise of â€œIrish Aidâ€ societies like the Friendly Sons of Saint Patrick and the Hibernian Society. Each group would hold annual parades featuring bagpipes (which actually first became popular in the Scottish and British armies, but don't tell the Irish!) and drums. In 1848, several New York Irish Aid societies decided to unite their parades to form one official New York City St. Patrickâ€™s Day Parade. Today, that parade is the world â€˜s oldest civilian parade and the largest in the United States, with over 150,000 participants. Each year, nearly 3 million people line the 1.5-mile parade route to watch the procession, which takes more than five hours. Boston, Chicago, Philadelphia and Savannah also celebrate the day with parades involving between 10,000 and 20,000 participants each. 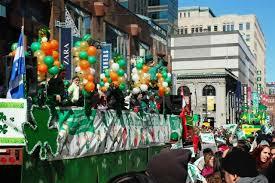 Stamford holds it's own parade changing the center line down the road to a lovely kelly green. 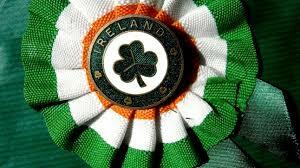 Up until the mid-19th century, most Irish immigrants in America were members of the Protestant middle class. When the Great Potato Famine hit Ireland in 1845, close to 1 million poor Irish Catholics began pouring into America to escape starvation. Despised for their alien religious beliefs and unfamiliar accents by the American Protestant majority, the immigrants had trouble finding even menial jobs. When Irish Americans in the countryâ€™s cities took to the streets on St. Patrickâ€™s Day to celebrate their heritage, newspapers portrayed them in cartoons as drunk, violent monkeys. The American Irish soon began to realize, however, that their large and growing numbers endowed them with a political power that had yet to be exploited. They started to organize, and their voting block, known as the â€œgreen machine,â€ became an important swing vote for political hopefuls. Suddenly, annual St. Patrickâ€™s Day parades became a show of strength for Irish Americans, as well as a must-attend event for a slew of political candidates. In 1948, President Harry S. Truman attended New York City â€˜s St. Patrickâ€™s Day parade, a proud moment for the many Irish Americans whose ancestors had to fight stereotypes and racial prejudice to find acceptance in the New World. Today, people of all backgrounds celebrate St. Patrickâ€™s Day, especially throughout the United States, Canada and Australia. 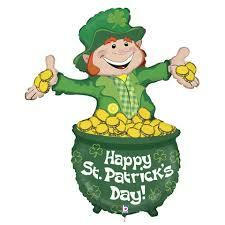 Although North America is home to the largest productions, St. Patrickâ€™s Day is celebrated in many other locations far from Ireland, including Japan, Singapore and Russia. 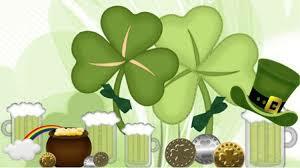 Did you know that up until the 1970s, Irish laws mandated that pubs be closed on March 17? This is because the day was a religious occasion. That changed and beginning in 1995 the Irish government began a national campaign to use interest in St. Patrickâ€™s Day to drive tourism and showcase Ireland and Irish culture to the rest of the world. Today, approximately 1 million people annually take part in Ireland â€˜s St. Patrickâ€™s Festival in Dublin, a multi-day celebration featuring parades, concerts, outdoor theater productions and fireworks shows. 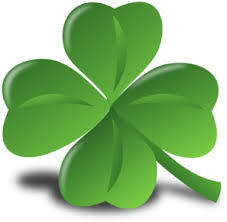 Wishing you all, no matter your nationality, a Happy St Patrick's Day and the "Luck of the Irish"! 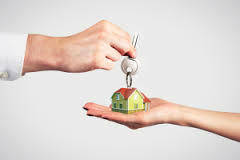 So everything is negotiated, all terms have been agreed to, the mortgage commitment is in, now what? It's time to start packing. Sometimes this can be the most daunting task. If you're not sure what you are taking with you, it's best to sort things into three categories...keep, donate and discard. Charitable entities have become very picky in what they will accept as donations, so make sure you check with them before assuming they will take your items. Transferring utilities such as electric and heating (whether gas or oil) should be arranged up to two weeks prior to closing. At this time you should return your cable box and if you still have a hardwired phone arrange for service to be terminated. If you have city water the attorney will take care of the account transfer. 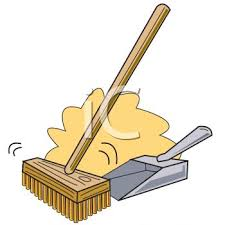 Your home should be left in "broom clean" condition after the movers have left and the house has been emptied. This includes wiping out cabinets, cleaning appliances and bathrooms. Don't forget to check your attic and basement for stray items. 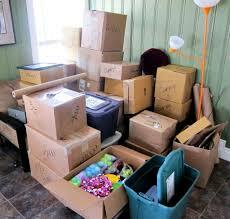 As you are packing you should put all appliance and house related paperwork in one spot for your buyers. 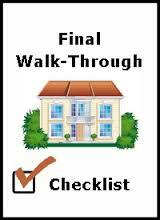 The day of the closing the buyers and their agent will schedule a "walk-through" just prior to attending the closing. 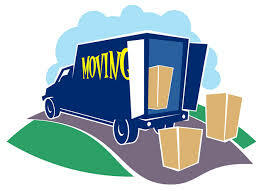 They will be checking that the house is in the same condition as it was prior to your move out. They will check appliances, make sure there are no gauges from furniture being moved and that everything that was supposed to be included in the sale is still at the house with no additional personal items remaining. Lastly, you will meet with your lawyer to sign papers and hand over your keys and garage door openers. Sometimes you can pre-sign the paperwork because most attorneys schedule closings when the buyers money is wired and received (the timing of this is sometimes hard to predict). Now your done and onto the next chapter in your lives!